Avenida Atlântica (Portuguese for Atlantic Avenue) is a major seaside avenue in Rio de Janeiro, Brazil (Brasil). 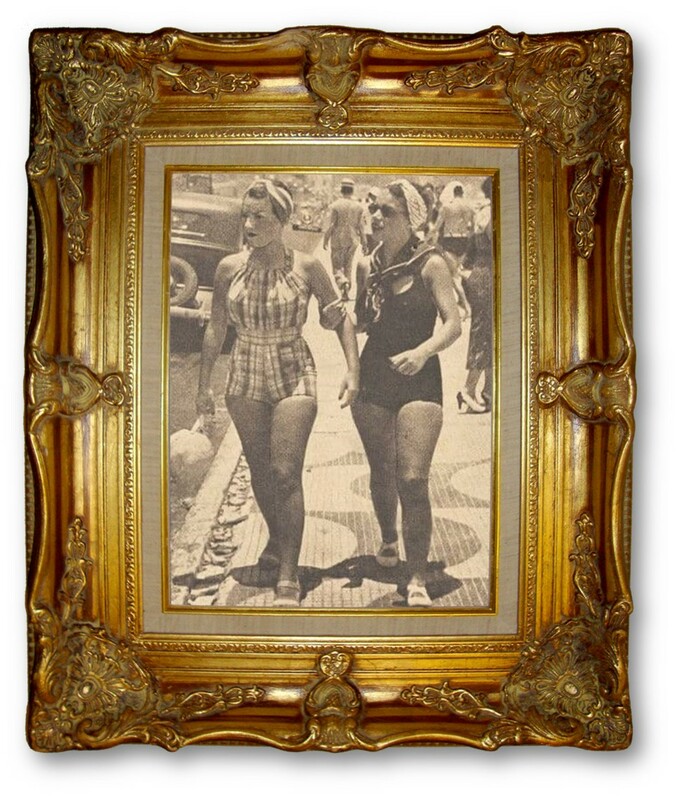 Beautiful photograph capturing Carmen Miranda and Sister Circa 1930’s. 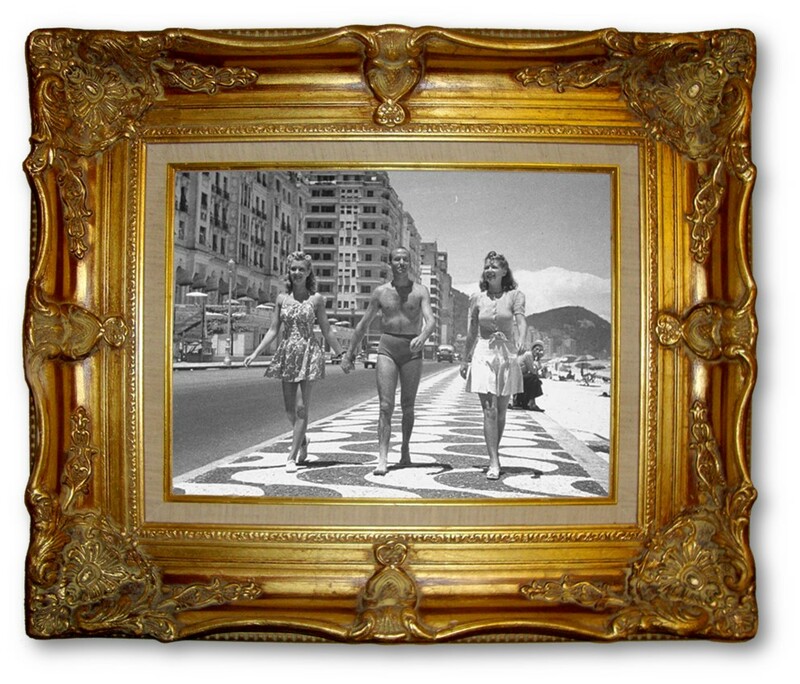 Wonderful photograph Circa 1940’s showing three beachgoers enjoying the day in Rio de Janeiro. Avenida Atlântica is lined with residential buildings, restaurants, hotels (including the Copacabana Palace) and a few shops. It also has an iconic Portuguese pavement promenade with a wave pattern.